CC#3: What kind of paint will cover up problems on my wall? customer question #3: "THERE’S SOMETHING WRONG WITH MY WALL. 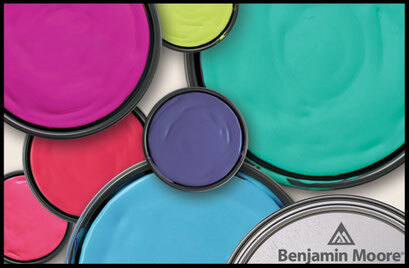 POP MARKS, ALLIGATORING, FISHEYE … what kind of paint will best cover it up?" Paint cannot cover up such things. You could try to cover it up … but all those unsightly things will remain and/or reappear. It's highly recommended to properly treat what's underneath before painting over it. 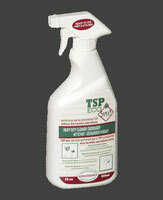 Wash the walls with TSP. Remove any loose debris from holes in walls. Spot prime any areas that need repair (this seals the problem area). Use appropriate fillers to repair holes. Sand repair spot smooth. Prime repairs to prevent flashing. It will also provide a uniform surface for your topcoat. Prime any areas that are water-stained and/or marked by food, beverages, pens, markers, etc. This will prevent stains and marks from bleeding through your topcoat. All products below can be purchased at Upper Village Paint & Wallpaper (1162 Eglinton Ave W). Get the good (and safe) stuff. TSP ECO is recognized by professional painters to be a strong versatile cleaner and an adhesive improver for any surface to be painted. Performs as well as conventional TSP without the harmful side effects. This solvent-free degreaser is ideal for cleaning interior and exterior surfaces. TSP ECO contains nano smart bubbles, which infiltrate and dislodge with unparalleled effectiveness traces left by other removers, stains, dirt and grime from your project's surface. Recommended for walls, ceilings, woodworks, concrete, masonry, metal, aluminium, vinyl or fibreglass siding. Also cleans exhaust filters. Rinse-free and ready to use! The Original® brand is the Premium Grade of Reticulated Polyester Sponge. Wipes & rinses clean. Very absorbent. Very strong. Special curved shape. Reticulated Polyester has an absorption of twice cellulose sponge and a durability far superior to regular foam sponges, which are typical on the market. DryDex® spackling contains the popular patented Dry Time Indicator causing the product to change colour when optimum dry time is achieved. It goes on pink! When it turns white, it’s showtime! Ready to sand and paint! Easy to use indoors and outside. May be used to fill holes and cracks in surfaces on drywall, plaster, wood, brick, stone and concrete. Ready to use. Spreads easily for fast, professional repairs that will not crack crumble or flake. Interior and exterior. This is great stuff. Shrink and crack resistant. Dries fast. Sands easily to a smooth rock-hard finish ready for priming or painting. 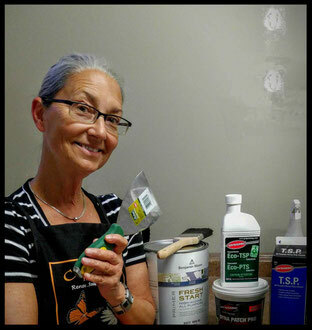 Outperforms vinyl spackling compounds. 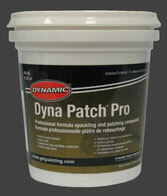 Great for patching metal doors - how many spackling/patching compounds can say that? Fills and smooths plaster and drywall splits, cracks and holes - nail holes and splits in woodwork - cracks and seams around window frames and moldings. Sticks firmly to all clean, dry surfaces - plaster, wood, drywall, wallboard, brick, concrete, stucco, paint. Easy to work with, does the job for interior and exterior. The best stuff because ---- Less airborne dust! No more powdery clouds! Their revolutionary formula causes dust to fall straight to the floor. Faster cleanup. Lightweight all purpose formula. Proven to minimize airborne dust while sanding. Ideal for taping, filling and finishing drywall joints. Can also be used for filling and finishing corber bead, trims and fasteners. 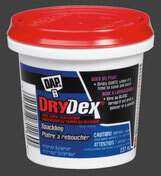 Also can be used to skim coat dry/non-glossy surfaces. These are our best primers. 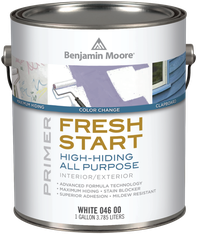 Fresh Start premium primers come in both water and oil based formulations to ensure the best possible results by providing the proper foundation for every finish coat. They combine the excellent adhesion and sealing desired in interior and exterior primers with the added benefits of being low odour and quick drying. Choose from our specialty products that solve problems with stains, moisture and smoke damage, and other common issues. Go here to see our blog article "Why do I have to prime?" in Upper Village Life. Cleaning, repairs and priming done? Now, paint away! Use good painting practices and the finish will be smooth and beautiful. The unsightly stuff will stay underneath your topcoat, filled and sealed by your repairs and primer. Never to resurface again!